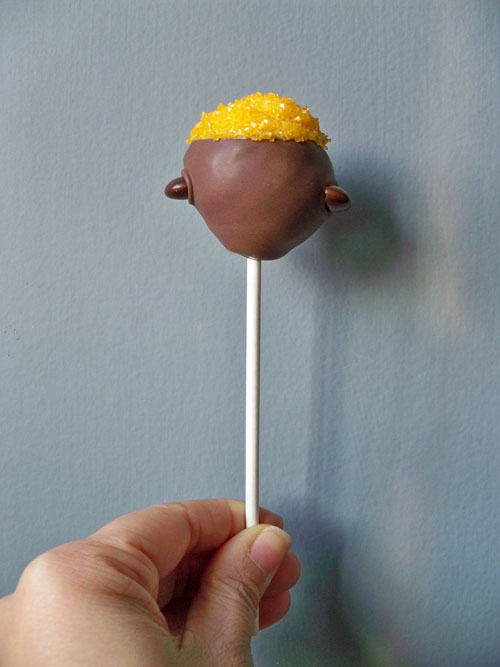 I wanted to make cake pops for my peeps for St. Patrick's Day, so I came up with the idea of cake pops that look like little pots of gold. I thought they were pretty funny, but most people couldn't tell what they were. They kept looking for a nose and eyes. 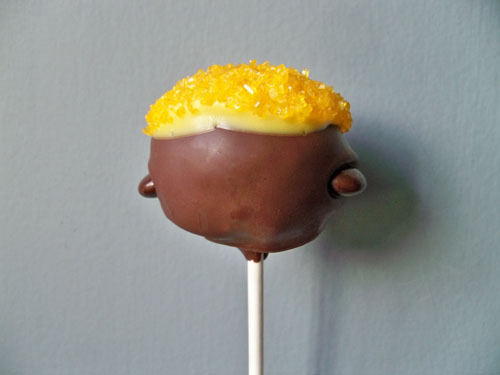 Several commented they look like Charlie Brown heads. Oh well. I definitely see the pot of gold!! They look scrumptious! maybe if you added a bit of chocolate rainbow? it looks yummy, nonetheless!